Recently, nor and I went with her family to Bletchley Park. 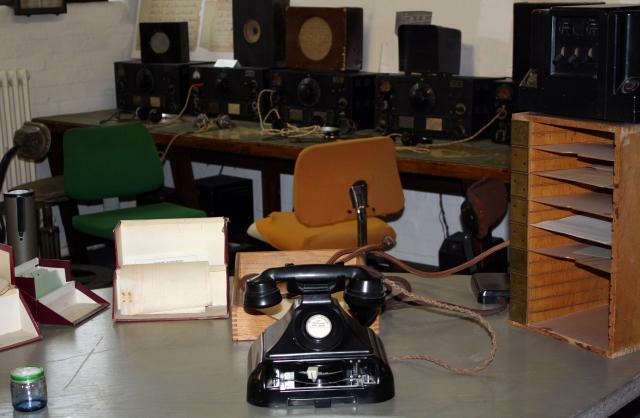 Nor’s grandmother used to be a radio operator at what we think was one of the Y stations, near Leighton Buzzard. She spent her time transmitting and receiving coded messages in morse code — in 5 character blocks of apparently random characters. The next step is to make it beep, of course. But Euterpea (haskore’s successor) looks to be overkill for such a trivial task as making two different sorts of beep. Incidentally, if you search "morse something" on DuckDuckGo it returns a morse version of "something". Nifty. Update I’ve added audio support now. You can read about it at More haskell morse code. This time with audio!